The ultrasound center is under the direction of Frances Flanagan, RVT with over 30 years of experience in arterial and venous ultrasounds in the Northern Virginia area. Frances has dedicated herself to the pursuit of vein disease in the lower extremities including varicose vein disease venous insufficiency, spider vein mapping, deep vein thrombosis(DVT) and pulmonary embolism (PE) workups. She also specializes in the diagnosis of arterial blockages in the lower extremity, upper extremity and carotid arteries. 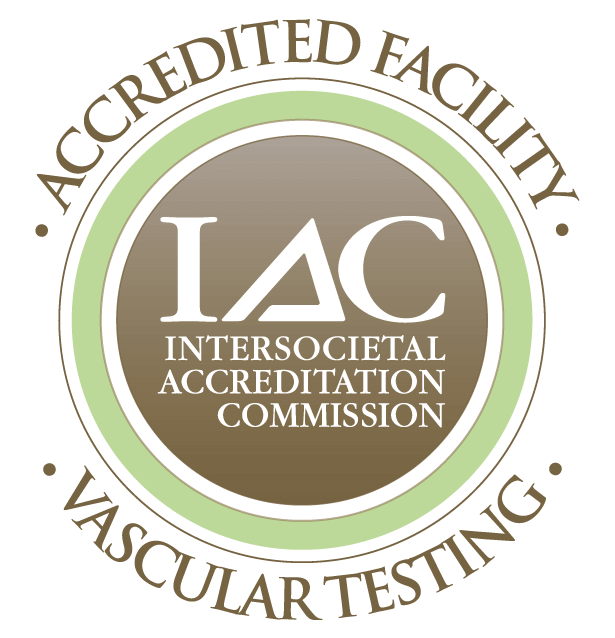 Frances works alongside her colleague and mentor, Dr. Timothy Mountcastle RPVI in an IAC Certified Vein Clinic and IAC certified vascular laboratory. Having worked in some of the great health care institutions in Northern Virginia including INOVA Fairfax Hospital, Reston Hospital and now with Dr. Mountcastle, Frances has the expertise and knowledge that less experienced ultrasound technologists do not possess. Vascular ultrasounds are technologist dependant, the tests are performed live while watching dynamic pictures with sizes, flow ratios and other technically demanding procedures where experience is an absolute key to an accurate examination. We often have patients come from multiple other vein clinics the confusing ultrasounds and treatment plans and together Frances and Dr. Mountcastle can clarify the situation for the patient. Following your ultrasound Dr. Mountcastle with go over a treatment plan specific to your medical needs based on your ultrasound and physical findings. Together our goal is a happy patient with healthy legs. Arterial ultrasound is a procedure that tests for narrowing of the artery in your extremities. The arteries are usually narrowed by a buildup of plaque also known as hardening of the arteries. Early detection can decrease your need for surgical intervention to open or repair the narrowed arteries, and arterial ulcerations or in some cases amputation. This procedure uses high frequency sound waves to capture internal images and produce a color map of the arteries in your legs and process blood flow velocities. The images display in grayscale and color showing the lining of the arteries and any plaque build up that would cause narrowing of the arteries along the walls of the vessels. In addition, doppler blood flow measurements are taken to assess the blood flow velocities. If the vessel is narrowed the velocities will increase as the blood tries to pass through the area and will be decreased past the point of the narrowing. Your doctor may suggest you have an arterial ultrasound if you have symptoms of peripheral arterial disease (PAD). This disease occurs when narrowed arteries reduce the blood flow to your limbs. PAD can cause leg and numbness and pain with walking and increase the risk or heart attack or stroke. Additional signs or symptoms that may indicate the need for a lower extremity artery workup are diminished pulses at the groin behind the knee and at the ankle level. Other indications for the examination history of smoking, high blood pressure, diabetes, high cholesterol, and a family history of arterial disease. Following your ultrasound Dr. Mountcastle will review your results with you a provide a treatment plan specific to your diagnosis. This is done on the same day as your ultrasound, no waiting for your results. If you have any of the above signs or symptoms you should have your arteries checked for narrowing. Arterial ultrasound is a safe, painless procedure that uses sound waves to examine the blood flow. The exam takes about forty five minutes and is done in our accredited on-site vascular laboratory. Carotid artery ultrasound is performed to test for narrowed carotid arteries, which increase the risk of stroke. The carotid arteries supply the head and neck with oxygenated blood. Carotid artery disease refers to the narrowing of these arteries caused by a buildup of plaque (fatty substance along the inner wall of the artery). Early detection and treatment can decrease stroke risk. The ultrasound is performed on both sides of your neck and using high frequency sound waves capture internal images and produce a color map of your carotid arteries. The images show the lining of the arteries and plaque build up or narrowing can be detected. Also, Doppler flow measurements are taken to analyze the blood flow velocities. If the vessel is narrowed the blood flow velocities will increase and there is a possibility of the plaque breaking off and traveling to the brain causing a stroke. Warning signs of carotid artery disease may include weakness, tingling or numbness of one side of the face or body, sudden confusion, dizziness or difficulty speaking, sudden blurred vision, headache or loss of balance. Your doctor may suggest you have a carotid artery ultrasound if you have a history of any of the above warning signs or history of high blood pressure, diabetes, high cholesterol, family history of stroke or heart disease, abnormal carotid artery sounds or have had a recent stroke or mini stroke. Dr. Mountcastle will read your ultrasound and provide a treatment plan specific to your diagnosis. This is done on the same day the ultrasound is performed. No waiting for results. If you have any of the above signs or symptoms you should have your carotid arteries checked. Carotid artery ultrasound is a safe, painless procedure that uses sound waves to examine the blood flow in the arteries. The exam takes about thirty minutes and is done in our accredited vascular laboratory onsite. Ankle Brachial index is a quick, noninvasive way to check for peripheral artery disease (PAD). This examination can determine if a more comprehensive arterial duplex ultrasound is indicated. The ankle brachial index test compares the blood pressure measured at your ankle with blood pressure in your arm. The patient is placed in a supine position and blood pressure cuffs are placed on the arms and at the ankles. Blood pressures are taken at the arm and ankle and divided to produce a ration. Normal ABI range from 1.0 to 1.4, a value of below 0.9 is considered diagnostic of PAD and values less than 0.5 suggest severe PAD The abnormal ABI value indicate a narrowing between the aorta and the ankle and is duplex scan of the arteries is indicated. The major cardiovascular societies advise measuring an ABI in every smoker over 50 and all patients over 70. Your doctor may recommend an ankle brachial index if you have leg pain or numbness with walking, diminished or absent pulses at the ankles, or risk factors for PAD such as the history of tobacco use, diabetes, high blood pressure or high cholesterol. If you have any of the above signs or symptoms you should have an arterial workup including an ankle brachial index. The test is painless and the results are read the same day. The exam takes about 15 minutes and is done in our accredited on-site vascular laboratory. veins occur when the valves in the leg no longer function, causing blood to pool in the legs. In some cases, this condition progresses to a more serious form of venous disease called chronic venous insufficiency. While unsightly, varicose veins, which can be mild to severe, also have the potential to result in dangerous health risks including, deep vein thrombosis and skin ulcers. Whether to relieve symptoms and/or improve appearance, treating varicose veins can be performed by vein centers that specialize in the evaluation and treatment of venous disorders. Venous ultrasound is also used to rule out the presence of a deep or superficial blood clot. This condition is often referred to as deep vein thrombosis or DVT. These clots may break off and pass into the lungs where they can cause a dangerous condition called pulmonary embolus, if the blood clot in the leg is found early enough treatment can be started to prevent it from progressing and passing into the lung. If a clot is found in your deep system you will be placed on blood thinner and scheduled for follow up ultrasounds to ensure the clot is diminishing. There are many factors that contribute to an accurate vein treatment and management. The training and experience of the vein specialist performing the procedure, the ultrasound technologist performing the venous exams, the type of equipment used and the quality assessment metrics each facility is required to measure, all contribute to a positive patient outcome. IAC accreditation is a “seal of approval” that patients can rely on as an indicator of consistent quality care and a dedication to continuous improvement. Above is listed the average cost for ultrasound examinations of which all or most will be covered by your insurance company depending on your individual plan. Our billing department can assess your out of pocket expense prior to scheduling. While the process is still voluntary for most, some insurers across the nation have implemented policies that require IAC Vein Center accreditation for payment of vein procedures. 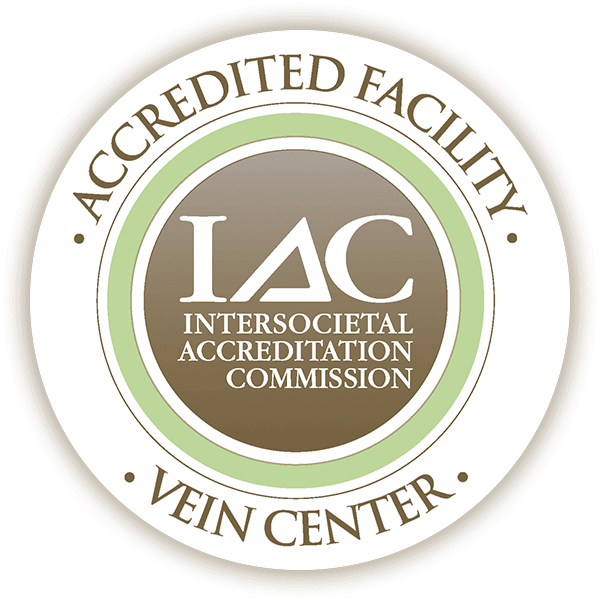 We have been an IAC accredited Vein Center for 3 years. Facilities attaining accreditation before it is required for reimbursement demonstrate a willingness to surpass current expectations and their commitment to providing quality patient care.